Persecution of Church to escalate as Zhejiang experiment goes national. After explaining that the years that Xi Jinping spent in Zhejiang (2002 to 2007) – as party secretary and as governor – “are regarded as a transformative period, during which Zhejiang expanded its private sector and moved toward cleaner, more innovative industries,” the author posits that as President of the People’s Republic, Xi Jinping would doubtless work the same magic on a national level. Similarly, for clues about how President Xi Jinping intends to manage religion and what is possibly the world’s second-largest evangelical Christian population (after the USA), Zhejiang province is a good place to start looking. Since assuming office in March 2013, President Xi Jinping has worked doggedly to consolidate power around himself as the “core” or hexin. To this end, Xi has been purging dissent (primarily through an ‘anti-corruption’ campaign), escalating repression, increasing censorship, tightening the reins on civil society. Reportedly a compulsive micro-manager, Xi has moved at speed to acquire control over every aspect of government. Australian academic Geremie Barmé has labelled Xi China’s “COE” or Chairman of Everything. In the spirit of Lenin and Mao, Xi maintains that all elements of society should “serve socialism” and “be consistent with Marxist-Leninist thinking”. Positing Communism as an “attainable goal” of the Party, Xi has revived Chairman Mao’s dictum about the Party’s tight control over culture – particularly creative arts, literature and religion. China analyst Willy Lam opines that it is no accident that President Xi’s campaign to “Sinicize Christianity”, so as to put Christianity into the service of the ruling Chinese Communist Party (CCP), was launched in Zhejiang. Lam’s revelation that Xi had wanted to launch his experiment “in a region which has centuries of interaction with Christian organizations in the West”, begs the question: “Why?” Was Xi testing the waters to see what a Western, or even a domestic, response might look like? The reality is, Zhejiang – and particularly, Wenzhou city – is more than its Western connections, for as Xi would well know, it is nothing other than China’s Christian heartland. Zhejiang’s business hub, Wenzhou – a city of some 10 million – is believed to have the largest Christian population of any city in China. The proliferation of churches, Christian-run businesses and sizable, influential Christian minority has earned Wenzhou the title, “China’s Jerusalem”. Indeed the city is famous for its many successful Christian entrepreneurs who actively promote Christianity in their workplaces. It is primarily because Wenzhou’s Christian entrepreneurs hold so much economic power that Wenzhou’s churches have had so much freedom for so long. So why would President Xi start his experiment to Sinicize Christianity in Zhejiang rather that some quiet backwater? It is doubtless because if the experiment succeeds in Zhejiang, it will likely succeed anywhere in China. On 8 January 2014 Zhejiang’s Communist Party secretary, Xia Baolong – who had been Deputy Party Secretary under Xi Jinping – was conducting an inspection in Zhoushan (north-east Zhejiang) when allegedly he was suddenly shocked by the proliferation of large churches. 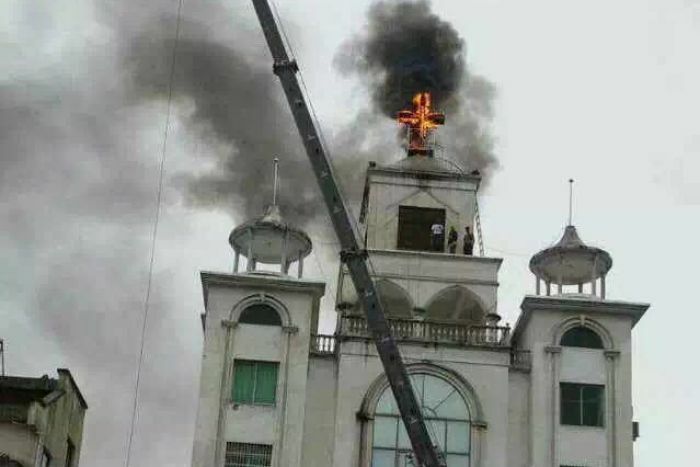 While passing a church in Baiquan town, Xia reportedly objected that the cross atop the church was “too conspicuous”, and demanded that the local Religious Affairs Bureau “rectify” the problem by removing it. And so began the campaign to de-Christianize the landscapes and skylines of Zhejiang. This was never a campaign about building regulations. Rather it was in every way an attack on the church to (literally) bring down Cross and rein in the church, so as to force the church to bring her message and her administration into the service of the Party. 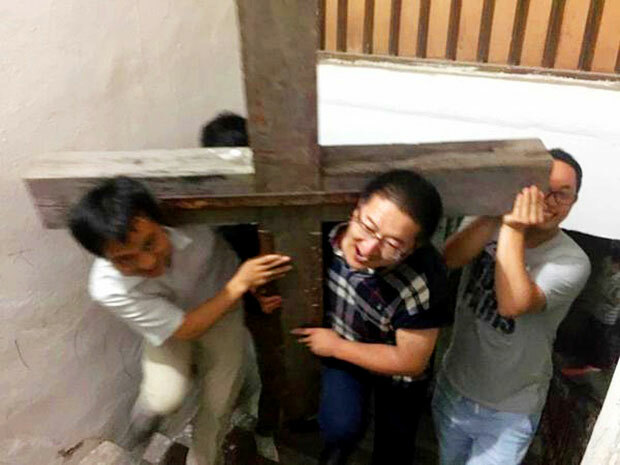 In its battle against the cross and the church in Zhejiang, the CCP has forcibly removed from some 1800 crosses from their churches, much to the distress of faithful believers for whom the cross is the ultimate symbol of grace, salvation, transformation and hope, for the individual and the nation. Not only have crosses been removed, but dissenting churches have been demolished and protesting church members have been beaten and arrested. On 1 July 2015 the CCP enacted a National Security Law which paved the way for increased nation-wide repression and persecution, purportedly in defence of “national security”. Dr Eva Pils, a China law expert at King’s College, University of London, opined that the national security law “manifests a neo-totalitarian ambition to reach into every sector of society”. Maya Wang, a China researcher for Human Rights Watch, expressed concern that the law “includes elements that define criticism of the government as a form of subversion”. Then, in a massive crackdown commencing on the weekend of 11-12 July 2015, the CCP arrested some 300 prominent human rights activists and lawyers, including several who were defending religious cases, in particular cases from Zhejiang. By this time, Zhang Kai had relocated to Wenzhou where he had taken up residence in a local church and was advising churches on their constitutional rights. Despite having been temporarily detained on 10 July – during which time he was interrogated and warned not to get involved – Zhang persisted in providing legal advice to more than 100 churches. On 14 July, in the midst of the crackdown, Zhang Kai announced the formation of “Lawyers for Protection of the Cross”, a group of some 30 Christian lawyers from across the country who would take on the Zhejiang church cases. Zhang Kai was arrested on the night of Tuesday 25 August 2015, and “disappeared” into China’s secretive and notorious “black jail” system, accused of “inciting disorder” and “spreading fiction”. 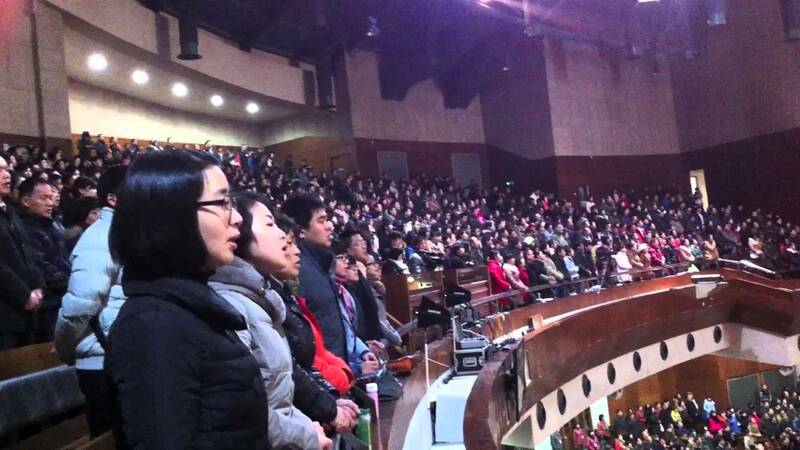 Also criticizing CCP policy in Zhejiang was Pastor Gu Yuese, the senior pastor of China’s largest CCP-approved and registered Three Self Patriotic Movement (TSPM) church: the 10,000-strong Chongyi Church in the Zhejiang capital, Hangzhou. Hoping to protect themselves from “blowback” (negative consequences), the Three Self Patriotic Movement (TSPM) and associated China Christian Council (CCC) cut Gu loose, officially dismissing him on 18 January 2016. Pastor (Joseph) Gu was arrested on 27 January 2016, and “disappeared” into China’s “black jail” system on charges pertaining to corruption. The very fact that the TSPM and CCC thought they could protect themselves, shows the degree to which they had misread the situation. On 29 January, the authorities arrested Li Guanzhong, chairman of the CCC in Zhejiang’s Pujiang County and senior pastor of Puyang Christian Church in the city of Jinhua. Li and his wife Zhang Shuzhen were likewise “disappeared” into China’s “black jail” system and held incommunicado, without access to legal representation, on criminal charges pertaining to corruption. Like Gu, Li had protested CCP policy in Zhejiang. 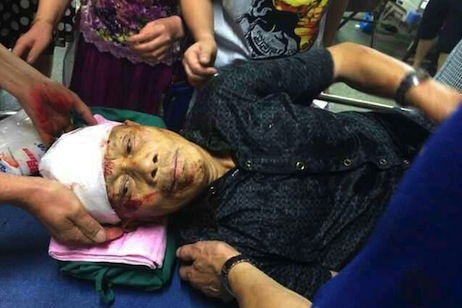 In July 2014 he had resisted CCP pressure to destroy his own church’s cross. In January 2016 he resisted the CCP’s order that all TSPM churches fly the Chinese flag. By early February 2016 eight influential TSPM and CCC leaders had been arrested and were being held incommunicado on criminal charges pertaining to corruption. On 8 September 2016, the Chinese government released a deliberative draft of its new Regulations on Religious Affairs. While Friday 7 October was designated as the day the government would stop receiving public comments and bring the law into effect, no public announcement has as yet been made. The regulations give the CCP total control over religion. Unregistered and unapproved religious activity will no longer be tolerated; registered churches will be obliged to follow strict guidelines; and all building will be tightly regulated, doubtless to reduce Christianity’s visibility, just as in Zhejiang. Click here to see an English translation of the deliberation draft: New Regulations on Religious Affairs. Not only has the CCP set the stage for a flood of persecutions and prosecutions against the church, but it is also poised to hamstring and tightened the noose around China’s human rights lawyers. When Zhang Kai was arrested in August 2015, he was held in solitary confinement and in darkness for six months until 25 February when, under extreme duress, he made a televised “confession” in which he repented of his “crimes”, retracted his criticisms of the CCP, and advised other lawyers against getting involved. Upon his release on 23 March, Zhang returned to his mother’s home in Inner Mongolia subject to strict bail conditions that he stay out of politics and refrain from speaking to the media. In late August Zhang posted a video on WeChat in which he retracts his former statement, which he said was made under duress after experiencing a six-month detention that was “all black and no daylight”. On 31 August security police from Wenzhou City surrounded Zhang’s mother’s Inner Mongolia home, arrested Zhang and took him away. When the Ministry of Justice’s amended “Administrative Measures for Law Firms” come into effect on 1 November, then all China’s lawyers will be officially banned from speaking out about human rights abuses. Even silent protests, such as walking out of a courtroom, will be prohibited. Click here to see report by China Human Rights Defenders (CHRD): Revised Measures on Law Firms Further Curb Independence of Chinese Lawyers, 3 Oct 2016. So, for clues as to how President Xi intends to manage China’s churches, “Zhejiang province is a good place to start looking”, for the Zhejiang experiment is about to go national.